Cover work area with a vinyl table cloth or a nice thick layer of newspaper. Place your chromatography paper onto newspaper or tablecloth to keep the marker from bleeding through. Start off by making a nice sized dot in the center of your paper about the size of a penny. Next, add water to your cup until the water line is about 1 or 1 1/2 inches from the top of the cup. Cut a pipe cleaner that is about an inch longer than the height of the cup you are using. Push theend of the pipe cleaner through the center of the paper (through the black circle you drew) and place in your cup of water. The paper should be resting on top of the cup and not touching the water. 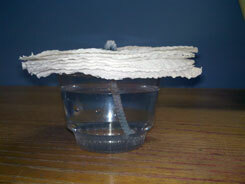 Your pipe cleaner will act as a "ladder" for the water to climb and soak into the paper. You can see the water spreading across your paper which is called capillary action, and the separation of the ink. Let your coffee filter dry on newspaper. 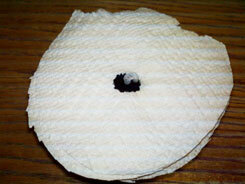 When filter is dry, fold it in half and then fold in half again. 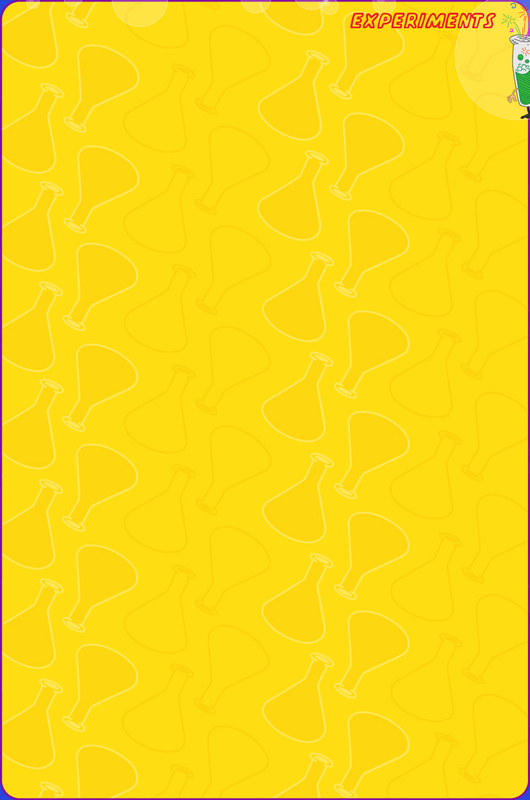 The filter will be shaped like a triangle. The top of the flower is where the edges are. Tape pipe cleaner to bottom of filter (where the point is) to make a stem. 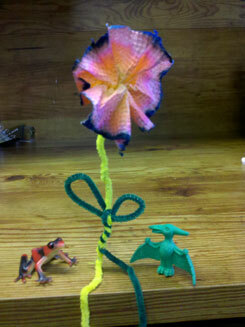 Separate the top of the flower into layers, making the flower look like a carnation or another kind of flower. Put flower in a vase and enjoy! Repeat to create more flowers. Use different color combinations as well as making different "designs" on your paper.